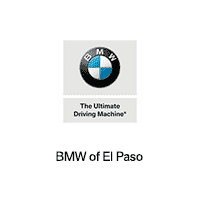 BMW of El Paso invites you to visit our fantastic luxury car dealership in El Paso, TX. Our knowledgeable team members are ready to provide you with the best BMW sales, service, parts, and accessories in the El Paso area. Driving is something most of us have to do every day. For many it seems like a chore. BMW of El Paso is here to tell you it doesn’t have to be. More than that, we’re here to prove it with a revered lineup of new BMW models and used vehicles – not to mention expert service, genuine parts and specialized auto repair. That’s right; everything you need to transform your daily commute into a joy ride and maintain that sense of satisfaction is right here, under one roof. Call (915) 206-2964 today for BMW pricing, availability, service, parts, accessories and more!